you can bring them all... for FREE! 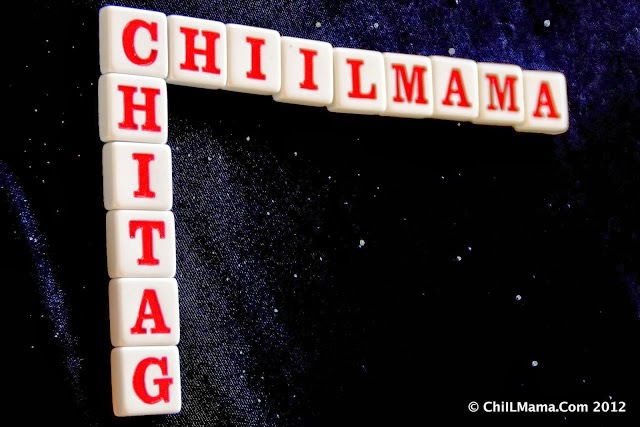 Disclosure: It's been our pleasure to team up with ChiTAG for many years now. Thanks to them for providing us with tickets for our giveaway and for review purposes. Yeah, yeah. I know we do a LOT of Family 4 Pack Ticket Giveaways and those of you with bigger families just buy a few extra tickets if you win. No big deal, eh? 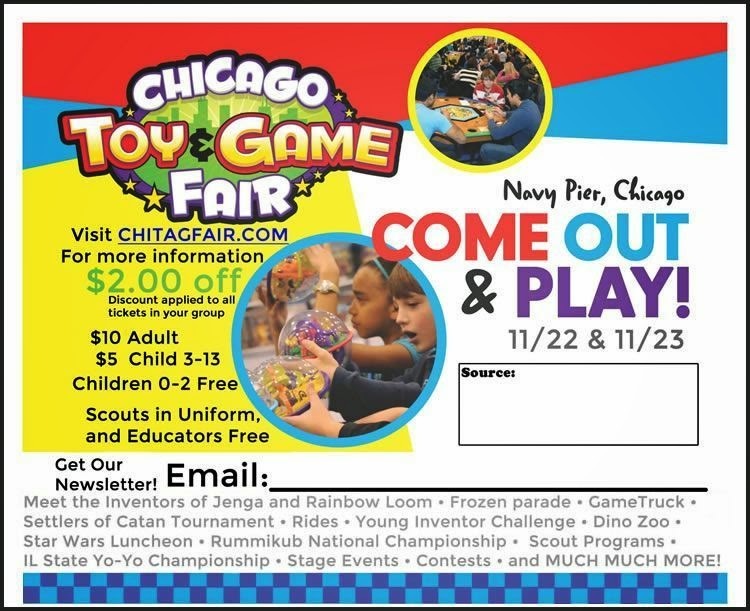 Well, here at ChiIL Mama we've been giving away FREE weekly sets of tickets to Chicago Toy and Game Fair for YEARS, and it's an expansion pack!! 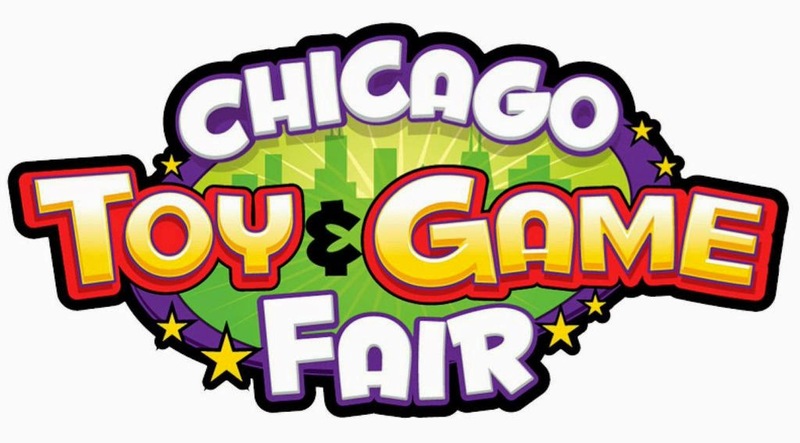 We pick a new winner EVERY week until ChiTAG and you can bring an unlimited number of family members with you as long as you all come in together, for 1 day or the whole weekend! Sweet eh? Enter here for your chance to win and also follow us on FACEBOOK and TWITTER for FLASH Giveaways where you just need to be the first responder and you're in! 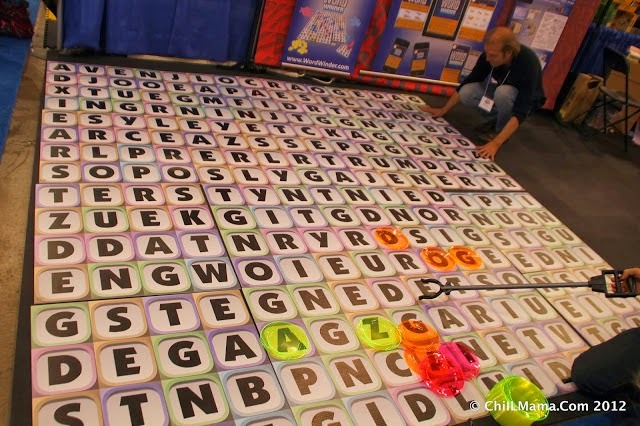 We dig ChiTAG and our family looks forward to it every season. 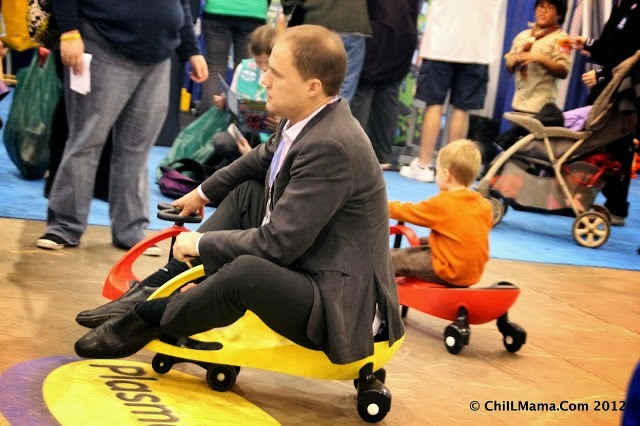 It's a GREAT place for photo ops, smoking deals on toys and games, and family fun. Also check out my coverage of the Play Chic Fashion show. Fun fun. Click HERE and scroll down for a blast from the past with 19+ original ChiTAG features. We've also embedded a few of our favs below. 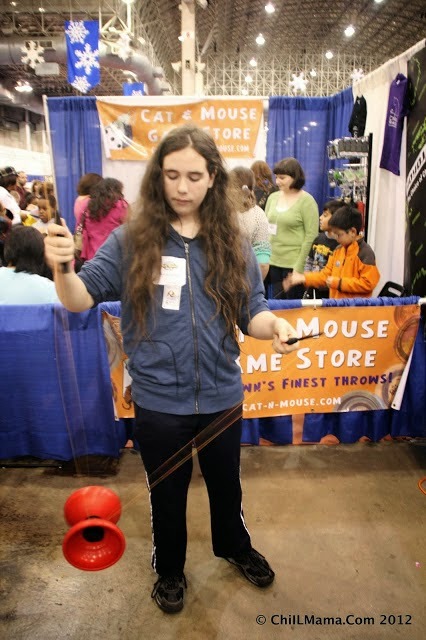 ChiIL Mama's son, Dugan, showing his mad Diablo skills at the Cat & Mouse booth. 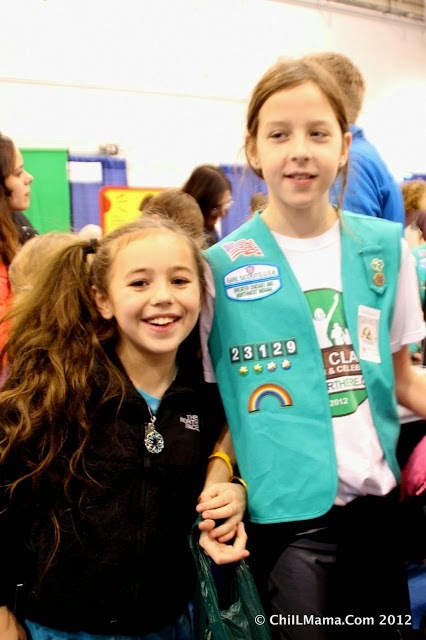 aim to break Guinness Book Records with Girl Scouts and more! 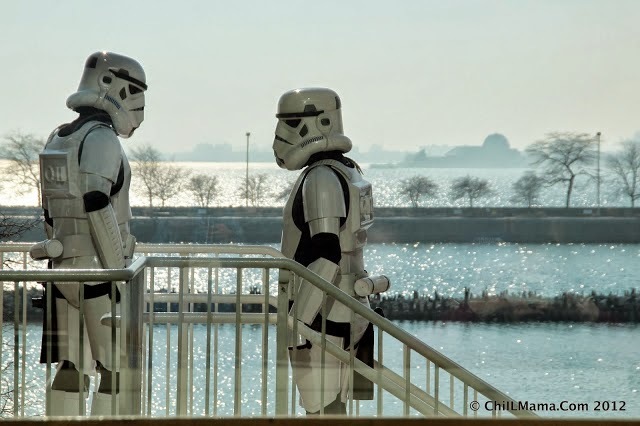 For the very first time, we're giving away a three-night stay in Chicago for the VIP Giveaway of a lifetime! 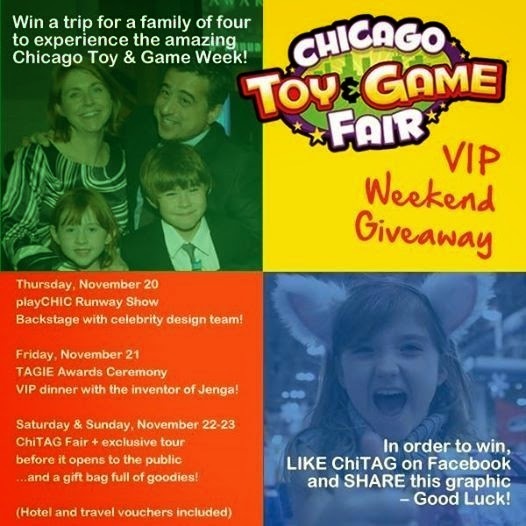 A family of four will win VIP access to #playCHIC, the #TAGIEAwards, and #ChiTAGFair along with meet-and-greets with our notable guests and a gift bag full of goodies. 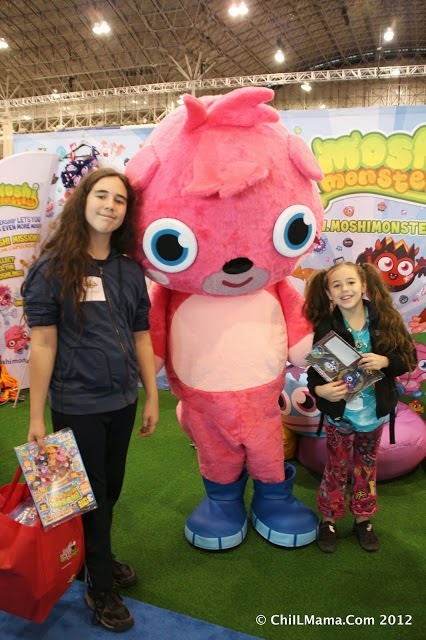 The winner will be chosen Monday, November 10. Hotel and travel vouchers included. 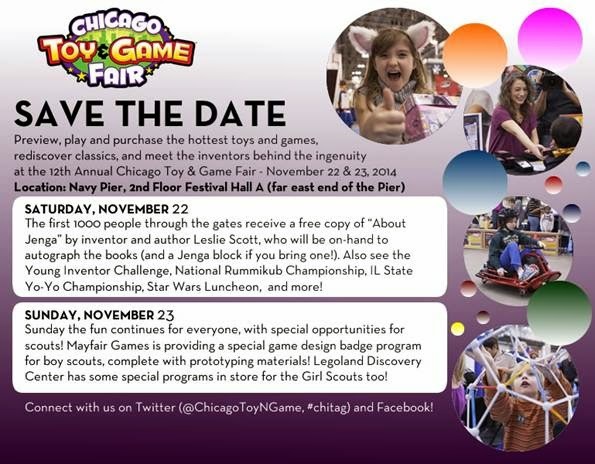 Like ChiTAG on Facebook for more info and Enter HERE. 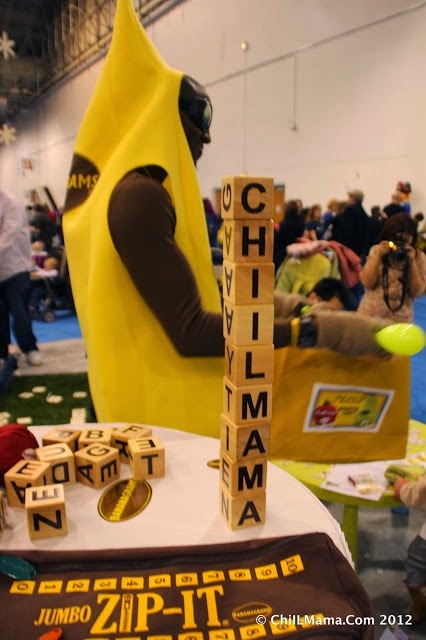 Remember to check back with ChiIL Mama early and often. It's REWARDING!